One of our new favourite places!! The food is delicious, healthy, great presentation, good variety. Lots of fresh fruits! Kids friendly place. The service is amazing! Love Cora at Altavista Dr.!! Well known Canadian breakfast franchise with a familial touch! 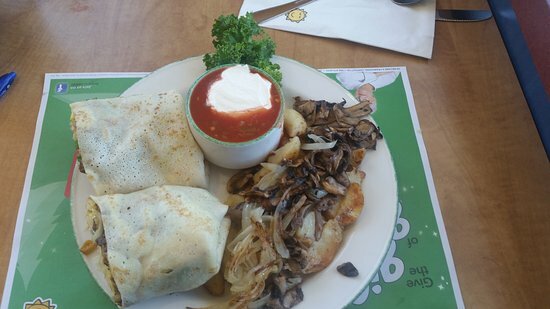 Cora's - The best of the worst in Ottawa! Friendly service, but so-so food. Poor value: cold toast, rubbery eggs and fresh fruit was anything but fresh. Also overpriced for what you get. Get quick answers from Cora Alta Vista staff and past visitors.